Home / .#Politics / #AmericanRoadRadio / #Chronicles / Democrat Party / Democrats / Donald Trump / election / U.S. / #Midterm : Several 'firsts' among mixed results of US midterm elections. #Midterm : Several 'firsts' among mixed results of US midterm elections. 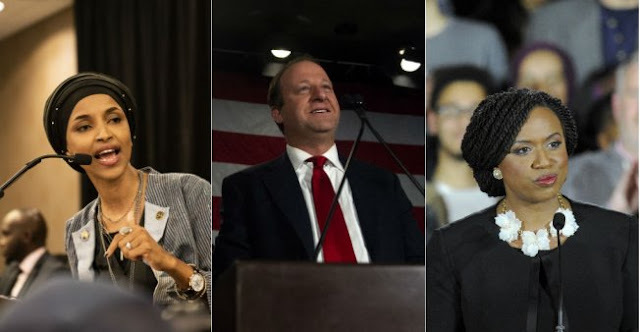 © AFP | Minnesota's Ilhan Omar (left), Colorado's Jared Polis (centre), and Massachusetts' Ayanna Pressley (right).